When RIM's now CEO, Thorsten Heins took control of the company back in January, it was noted several times that RIM may look into licensing deals with various other organizations out there. For a while now, there has been a longstanding rumor that BlackBerry Messenger would be making its way to other platforms and many took this, as a sign BlackBerry smartphones would soon be losing their BlackBerry Messenger exclusivity. As it appears now, things happened just the opposite. 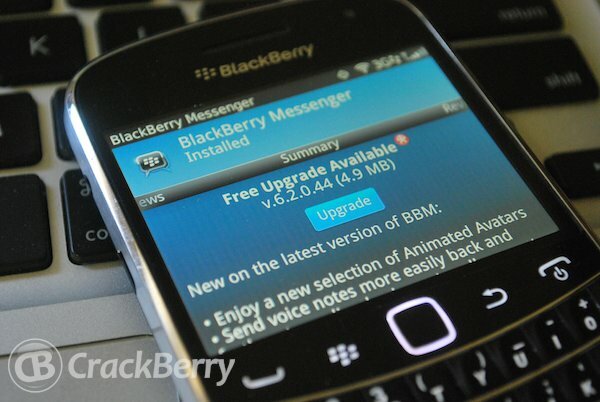 Backing this up, comes a new report from the WSJ that claims RIM was testing BlackBerry Messenger on other devices under the codename "SMS 2.0" despite RIM having gone on record to say, they have no plans for BlackBerry Messenger on different platforms. Seemingly, the only reason why the BBM licensing agreement talks came to an end was due to the fact that CEO Thorsten Heins took that option off the table with WSJ's source claiming that "It was not up for discussion," any longer. In other words, "there is a time when this might make sense" but now -- is not it and BlackBerry Messenger will remain on BlackBerry exclusively.